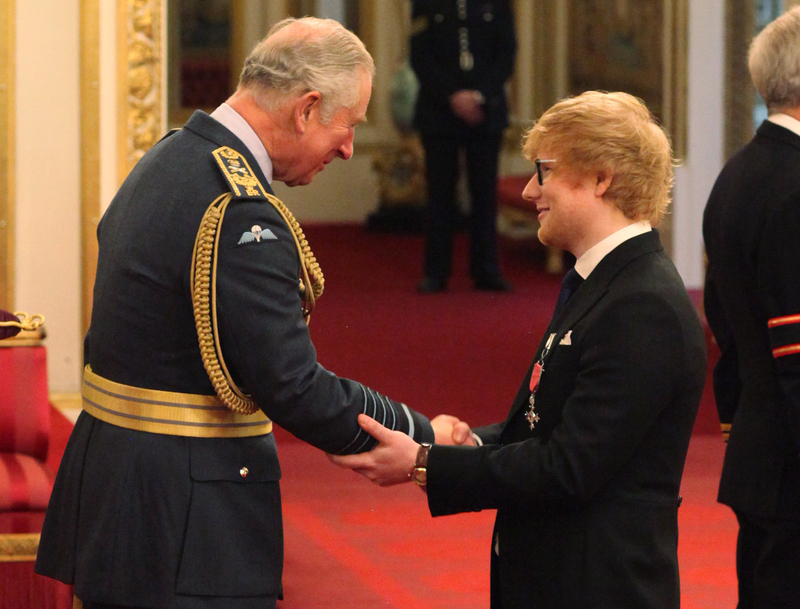 Ed Sheeran ‘breached Royal protocol’ while receiving his MBE from Prince Charles at Buckingham Palace yesterday. 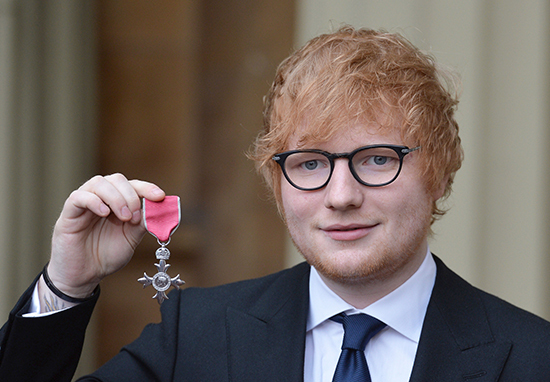 As well as picking up his MBE, the singer has just been named the most-streamed artist of the year and has played a part in numerous charitable causes. 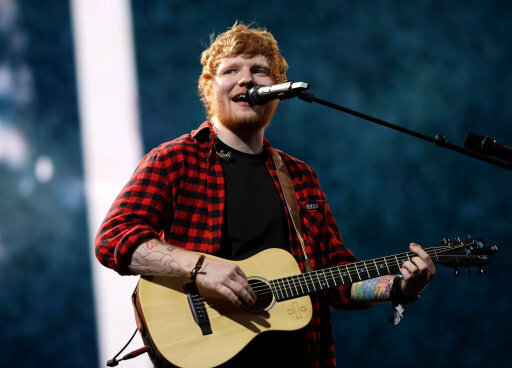 He was asked at the ceremony whether he would be up for playing at the upcoming royal wedding between Prince Harry and Meghan Markle next year. As cool as the day probably was, he did ‘break’ one of the rules. Royal etiquette means touching shouldn’t go beyond a formal handshake, so when Ed placed his hand on Prince Charles’ forearm, some people picked up on it. Prince Charles didn’t seem to mind though, so it’s probably not much of an issue. We’re not about to see Framlingham annexed from the Commonwealth any time soon. 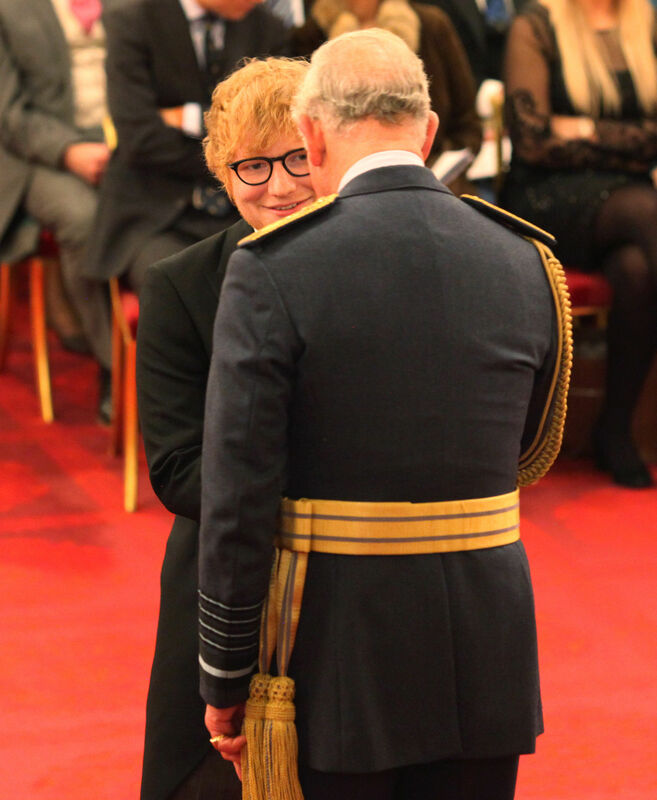 Ed said the Prince of Wales was impressed with his busy schedule, especially because he’s playing a gig in New York today, just one day after the ceremony. 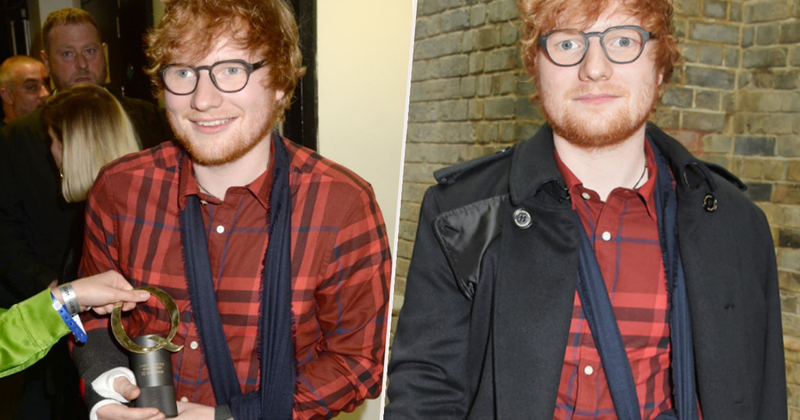 A well-deserved award for Ed considering his huge success.